If you’re not up to speed on Captian Marvel, the MCU’s newest hero, you’re going to be in the next couple of days. On September 4th, Brie Larson, who plays the title role, tweeted out…. 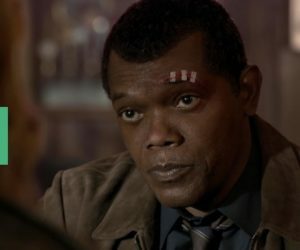 and then the next day EW ran a huge “reveal” article with Larson on the cover giving us a huge insight into the film as well as co-star Jude Law, and even gave us a glimpse of a younger Nick Fury played by Samuel L Jackson, and the cinematic return of Agent Phil Coulson with a de-aged Clark Gregg. What makes Captain Marvel and interesting movie in the MCU, is that not only does it cross over with the Avengers Infinity War (Spoiler Alert), but also Guardians of the Galaxy, as Ronan the Accuser (reprised by Lee Pace), makes an appearance in the film as well. Now, viewers will see the survivors a year and a half after the end of the war, rebuilding civilization under Rick’s steadfast leadership. It is a time of relative peace among the communities as they work together, looking to the past to forge the future, but the world they knew is rapidly changing as man-made structures continue to degrade, and nature takes over, changing the landscape and creating new challenges for our survivors. 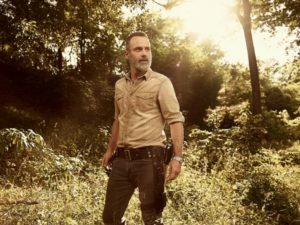 The Walking Dead Season 9 will premiere Sunday October 7th at 9pm. I was a huge House of Cards fan, and with the controversies surrounding Kevin Spacey, fans of the show were sure that Season 5 was going to be it’s last. Well, Netflix announced late last year that House of Cards would be brought back for a final season, season 6, minus Spacey, and having Robin Wright step into the President’s chair, and Clair Underwood take over from her recently deceased husband. That’s right, Netflix will kill of Frank Underwood between seasons, and let Robin Wright step solely into the spotlight! I’ll admit, I wasn’t a fan of season five, but will tune in to see how things are wrapped up! But don’t worry. 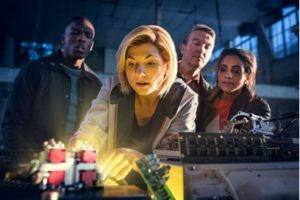 There will be plenty of time in the 10 episode season to deal with the Doctor’s changes, as she will encounter women from history including civil rights icon Rosa Parks.